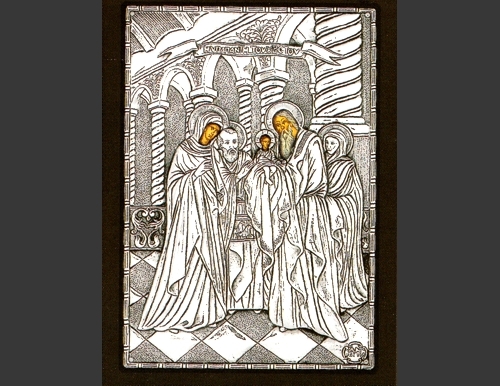 An exquisite silver Greek Orthodox icon of the Presentation of Jesus Christ to the Temple. Made of 950o proof silver on a selected timber frame with the painted parts of the icon painted by hand. 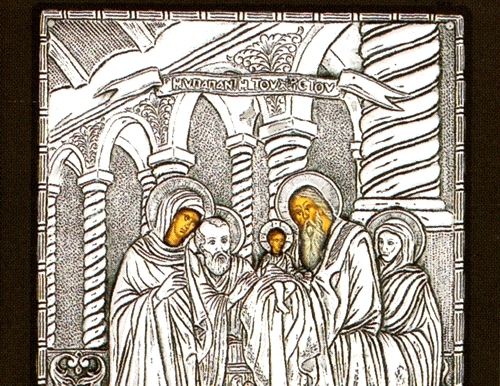 Exact reproduction of an antique Byzantine masterpiece.